Tufts MC Primary Care Quincy (Quincy) - Book Appointment Online! 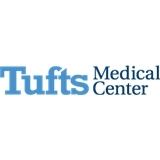 We are pleased to introduce Tufts Medical Center Primary Care-Quincy. Conveniently located close to the Southeast Expressway, Rt.3, 128 and I-95, our new practice features ready access to world-class primary care physicians, caring nurses and a dedicated administrative staff. Whatever your needs, from disease prevention to managing a chronic illness to an urgent care appointment, our care team is always focused on keeping you healthy. We recognize that you want a primary care physician with whom you can develop a trusted relationship. At our practice you’ll find skilled physicians with diverse backgrounds, care interests, various age ranges and both male and female doctors. In addition to English, some of our physicians are fluent in Chinese, Russian and Ukrainian. Our office does not accept self-paying new patients. I wish I have found this people and place earlier. Dr. Jette was fantastic! Super easy to talk to and provided a very humanized / personal approach. He took the time to listen and chat through my thoughts and questions. His staff were wonderful as well. I got blood work done easily 30 mins prior to my apt in office at the lab. They also have an online portal where blood tests and results can be viewed easily. Lastly, the office has easy parking. I’d strongly recommend Dr. Jette and his team to anyone looking for a primary care doctor!